When your past controls your future, how do you move forward? Velaney Wills knows about that all too well. Weak, powerless, and fearing the one person who has hurt her the most…can she overcome the barriers to move forward? Being saved by a muscled Godsend was never on her agenda, but when firefighter, Eric Reilley comes into her life unexpectedly, everything changes. Velaney has never felt loved or cared for, and her past prevents her from letting anyone in. Eric manages to break down her walls – despite the repercussions that come for them afterwards. They have an undeniable spark – something she has never felt before, but will it be enough? Can love overcome all obstacles? Can they save each other to protect their love or will her past shatter everything she never knew she needed…? Switch back and forth between reading the Kindle book and listening to the Audible narration. Add narration for a reduced price of £3.49 after you buy the Kindle book. 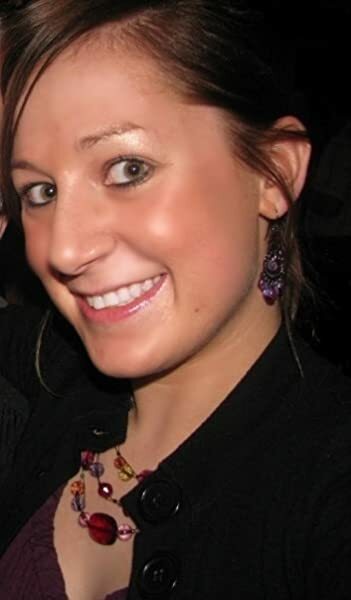 Brooke is a midwestern gal, from the cheese state of Wisconsin! Go Packers! She's a stay-at-home mom of three beautiful children (one daughter & two stepsons) and a black furry dog. She's studied psychology in college, and counseling and education in graduate school where she found her love for writing. Most days you can find her reading or writing, or just hanging out with her family! She loves movies, cooking, and shopping! She's addicted to Starbucks, Coach purses, and wearing yoga pants. Find her on Facebook and Twitter to stay updated on new releases! This book is sooooo good I loved it. Let me just say this is unlike Brook's Riverside series, she did something different, she went dark and hard but she pulled it off effortlessly. Don't be so sure Velaney, because you never know what or who is around the corner, your story is about to take an unexpected turn. Velaney is a young women only living half a life, her actions are controlled by fear and the experiences she endured as a child. 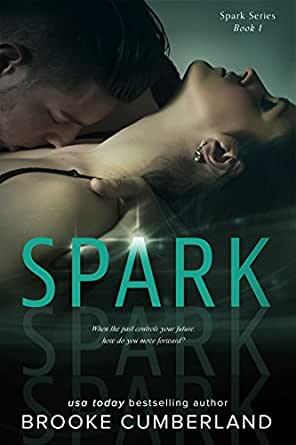 One fiery morning she is rescued by a; burn this building down HOT firefighter, immediately they spark a connection and after learning he just moved into her apartment building they soon develop a friendship. Vel ,you are not the only one that is doomed I think the entire female population is doomed right along with you after meeting Eric. He is sweet, protective, caring, gentle and his goodness just pours from the pages. That first rescue of Velaney was to be the first of many, he becomes her hero always saving her from her own clumsiness or from others who wish to bring her harm. These two don't just jump right into a relationship, they build a friendship, even though sometimes that proved difficult because their undeniable sizzling chemistry. Vel does not believe she is good enough for Eric, with all her emotional baggage and triggers she sadly believes she is too damaged to have a normal relationship, So she pushes him away. But Eric does not give up on her, he takes his time to get to know her as a person gaining her trust and always providing a shelter from all the craziness of life. He became her home her safe place. Over time the spark between them is just too intense to be ignored any longer and they embark on a relationship. However that relationship is not without its challenges Vel has a lot to over come in-order to maintain a healthy even field relationship. I won't giveaway anymore you are just going to have to read the book to find out what happens. Trust me its one hell of a roller coaster ride that you will not forget any time soon. don't let that quote fool you noting is what it seems. I'm gonna tell you why I gave this book a five star (5 stars has been on a lock down from me lately, but I could not denied just how much I enjoyed this story). This book has some dark series issues that it tackles, despite all the seriousness and heavy issues I was laughing my head off. Brooke just has a way of intertwining the one lines at the right moment. The flow was seamless and if you have read her first book you can see just how much she has grown as a writer. Vel best friend Carissa is simply one of the best secondary character I have ever read, she is funny as hell, has no filter what-so-ever she just says whatever the hell come to her mind. She needs to have her own book I could read about her all day long a strong feisty women after my own heart. Her strength and support for Velaney is just inspiring. Velaney is unable to swear and her replacement words are just hilarious. The book does ends on a cliffhanger but not a major one to cause you a headache and you don't have to wait too long to have the next installment "Burn"
overall a very good book well written with great characters and a brilliant story line. This is the first book that I have read from this Author, I won an ARC of this book, but also bought it too. her best friend Carissa is her Rock they Love each other fiercely and Carissa would do/will do anything to help Veleny. Eric is a Hunky Fire fighter and lives in the same building, one day a Fire breaks out in the building and Carissa manages to get out however Velany is fast asleep in her bed and Eric rushes in to save her and Sparks will Fly between them... I really loved the Chemistry between Velany and Eric and not to forget Carissa,she's one hell of a Woman. I don't want to reveal to much about this book because I think it would spoil it, the one thing I will say is its packed with Humour, Sadness, Passion, Romance, Sexual Desire and plenty of Action, my favourite kind of book. when I finished I thought No, No, No. you cant leave it there Brooke!!!! I need the next instalment now!!!! Well done Brooke, Loved it and looking forward to the next book. 5.0 out of 5 starsamazing ! omg enjoyed book so much amazing.a fire brought eric & velaney together sparks from beginning.she tried to resist but she gave in.she's damaged being abused by her sick twisted brother aiden.i did have a cry at one of scenes.story was so powerful.made me laugh words using instead of swear words.cus they brought back memories of her brother aiden.velaney & Eric love each other & she dumps him to protect him.her brother threatens her if she don't dump him kill Eric.so she protects him.hes broken she fixes there relationship & apologies tells him truth he takes her to meet his mom but on plane she is met by her past I'm anxious to find out how things turn out hurry up 8th Oct. I really liked this book Eric & Velany are a great couple . I was rooting for their relationship right from the word go , I felt really sorry for Velany as she fought her demons to take control and have a "normal life & relationship" . Eric is her knight in shining armour but can she finally let the horror of her past go and let him in? I can't wait for the 2nd book to see what happens. A worthwhile read. 4.0 out of 5 starsFlaming hot!!! A hot love story that kept me hooked. When Eric and Valaney meet there is an instant spark but they become friends first, which allows their relationship to develop at a natural pace. It does end on a cliffhanger so be prepared!!!. Once again Brooke Cumberland has written a fantastic book. I was hooked from the start and it's hard to put down. You feel that you are the one in the story. It's a must read.